Enjoy a spa-style hydrotherapy experience with this classically styled whirlpool bath. Part of the Bancroft Suite, the design draws inspiration from the simple elegance of early 1900s American architecture. Fully adjustable jets deliver a customized water massage, and the built-in heater keeps the water temperature just the way you like it. A deep bathing well and extra legroom ensure comfort as you soak. With rich detailing reminiscent of crown moulding, Memoirs brings classic architectural style to your bathroom. Ease into a soothing, fully customizable whirlpool massage and stay as long as you like, thanks to a built-in heater keeping your water warm. Pair this bath with other products in the Memoirs Suite for a sophisticated bathroom ensemble. The Memoirs 6 ft. whirlpool features classic, architectural styling, while its innovative technology creates a sensory sanctuary where you can relax, rejuvenate and renew. A variable-speed pump with 18 settings powers eight Flexjet whirlpool jets that provide an individually adjustable hydro-massage for those aching muscles, and an in-line, 1.5-kW heater keeps the water at your desired temperature. This KOHLER<sup></sup> Experience whirlpool features a drop-in installation and integrates with the Memoirs Suite to unify your bath or powder room dicor. Also available in store by special order only see store for details. 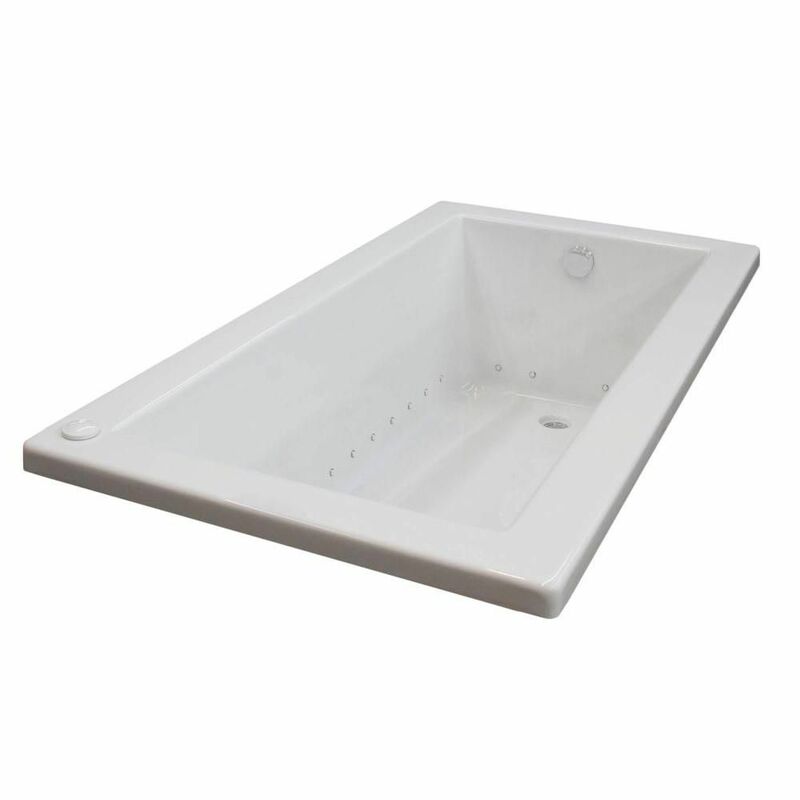 Sapphire 5 ft. Acrylic Drop-in Right Drain Rectangular Whirlpool Bathtub Aromatherapy in White Sapphire series bathtubs resemble simplicity set in classic design. A rectangular, minimalism-inspired design turns simplicity of square forms into perfection of symmetry.